← You Know About Insulin. And Now, the REST of the Story . . .
Sulfonylureas (SUs) in 2010 are still the most widely used drugs for treatment of type 2 diabetes. At least six different SUs are in common usage in the U.S., including glipizide, glimiperide, and glyburide. They are often prescribed for patients who do not respond adequately to lifestyle modification and are intolerant of metformin, the usual first-choice drug. Sulfonlylureas make the pancreas beta cells secrete more insulin into the bloodstream. The other drugs that do this are the meglitinides; these two classes are sometimes lumped together as insulin secretagogues. The sulfonylureas are less expensive. This is a brief review pertinent to type 2 diabetes only—consult your physician or pharmacist for details. Remember that drug names vary by country and manufacturer. Sulfonylureas increase the pancreas’ production of insulin after a meal (second phase insulin secretion). If the pancreas beta cells are no longer producing any insulin, SUs won’t work. SUs decrease fasting blood sugar by about 20% and hemoglobin A1c by 1 or 2% (absolute, not relative). We don’t know if these SUs affect death rates. May be used alone or in combination with certain other diabetic drugs. Since they have the same mechanism of action, sulfonylureas and meglitinides would not normally be used together. In combination therapy, you want to use drug classes that work by different mechanisms. SU dose depends on the particular one used. Some are taken by mouth once daily, others twice. Hypoglycemia is the most severe adverse effect of the sulfonylureas. The duration of hypoglycemia seen with SUs is often much longer than you would predict by how much drug is in the bloodstream. Hypoglycemia is more common with the longer-acting drugs, such as glyburide and chlorpropamide. 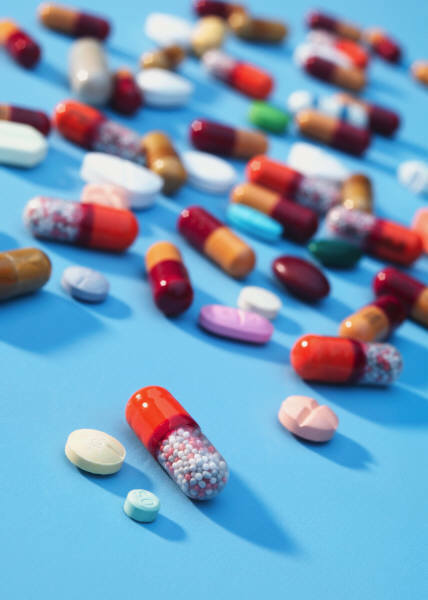 There is some concern that sulfonylureas are linked to poorer outcomes after a heart attack. SUs occasionally cause nausea, skin reactions, and elevations of liver function tests. When used with insulin or thiazolidinediones, these sulfonylurea adverse effects are more likely to appear: weight gain, fluid retention, congestive heart failure. Consult your personal physician or pharmacist.